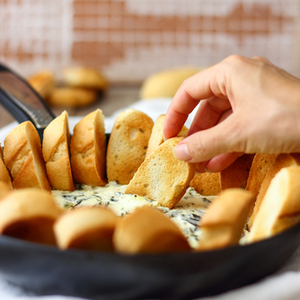 Have you ever spent hours making a fancy handmade appetizer for a party, only to see everyone crowded around the bowl of warm, creamy dip? Yes, I’ve been #thathostess. There’s just something comforting about a creamy spread that is eaten with a spoon, chip, cracker or crudite. 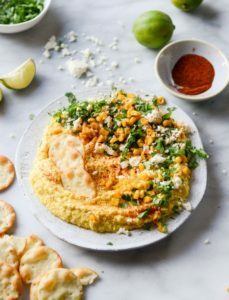 That’s why I’ve dug up some of the best recipes around with this special Seen on Pinterest roundup of the best dips in town. You’ll be the star of your holiday party or office potluck when you serve these treats to a crowd. What’s better than pizza? 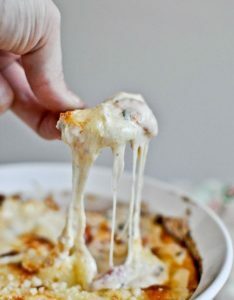 This creamy white pizza dip. How Sweet Eats, one of our favorite food blogs, really knows her appetizers. The only thing better than beer cheese dip is serving it with perfectly salty and chewy pretzel bites. 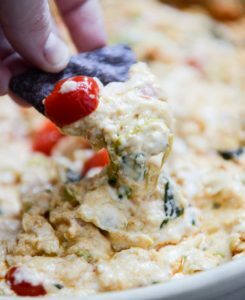 Buffalo chicken dip is a game day staple. We use this recipe for super simple crockpot buffalo chicken sandwiches, and then use the rest of the meat for the dip base. Elevate queso with the addition of sausage. You’ll never go meatless again. 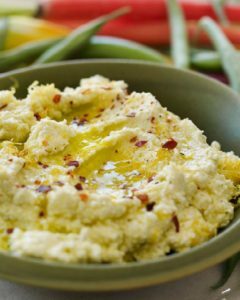 This lemon feta dip is perfect with pita, but even healthier with raw veggies. It’s also a great sandwich spread. Ranch dip gets new life with extra mix-ins like cheese and bacon. Ina Garten’s onion dip is as addicting as anything you’ve ever tried. You’ll never want to make this with powdered soup mix again. A bonus – caramelized onions freeze excellently, so you can always make this dip quickly. 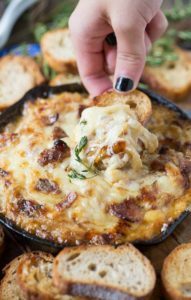 Add bacon and gruyere to onion dip though, and you’ve taken it to a new level of YUM. Mexican night gets whole new meaning when you turn cheesy chicken enchiladas into dip. Make jalapeno poppers even better. Turn them into dip. 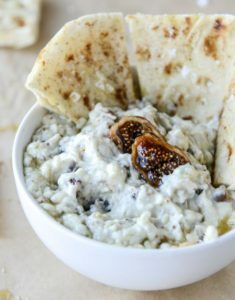 Figs + blue cheese + garlic? It’s a combo of savory, salty and sweet that we just can’t get enough of. This grilled corn dip is a great starter, side dish, or topper for grilled chicken or fish. 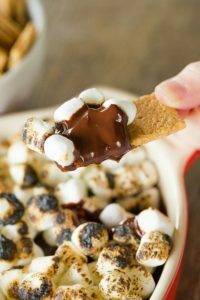 Embrace your sweet tooth with a s’mores dip that the whole family will approve of. 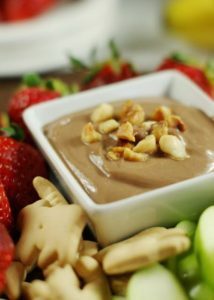 Nutella greek yogurt dip is a great way to get kids to eat their fruits, and it’s delicious too. What are your favorite dip recipes? Leave your feedback in the comments below!